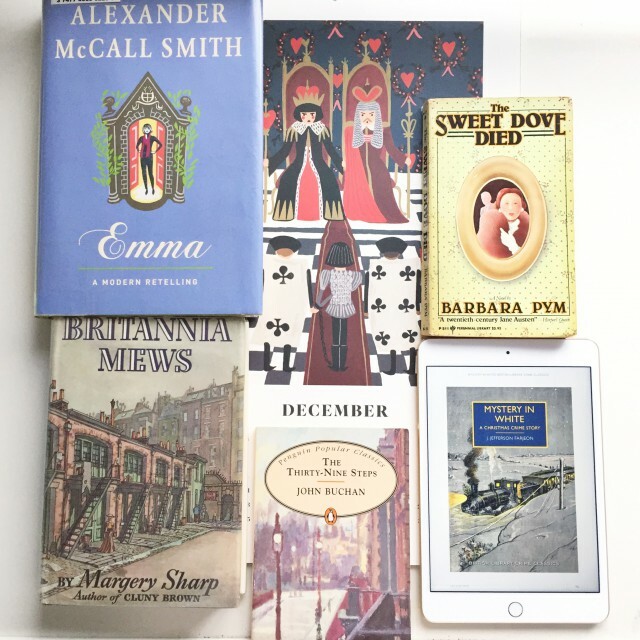 I’ve really enjoyed being part of the bookish Instagram community or ‘Bookstagram’ as its popularly called in 2015. Here is a peek at my year in Instagram pictures; set in chronological order. New Blogpost alert- a book review of the Darling Buds of May by HE Bates. I highly recommend this indulgent summer read. It will make you laugh, feel wistful about romantic summer nights and overall make you ravenous with hunger. Do not read this on an empty stomach. 🍕🍟🍗🍖🍛🍝🍤. Link to the blog in profile. I'm currently a third into the book 'The Enchanted April' by Elizabeth Von Arnim. It's a book about four disillusioned women who decide to leave their mundane, everyday lives and stay at a medieval castle in Italy that is for rent for one whole month in April. The book is funny, sharp and truthful. Already I have kept note of several memorable lines. It is just what I need to take me away on a summer holiday from the comfort of my armchair. One of the best bookstores in Kolkata- Oxford Book Store on one of the main streets- Park Street. They have a nice, if small collection of world literature. Lots of children's books, an extensive collection of non- fiction, and lovely gifts and toys. It' always nice to go to a different country and browse the different book covers and the special interests of the people of that country. I came across an extensive collection of Enid Blyton books that I don't usually find in US bookstores. Have you read 84 Charing Cross Road? This is an account of the correspondence between Helene Hanff, a freelance writer in New York and Frank Doel, an employee of a used antiquarian bookstore in London. The correspondence is spread over the years 1949 to 1969, documenting the lively dialogue between two people, with nothing in common but a knowledge and love of good books. Set in the years after World War II, the reader is treated to an insight of the reality of what it was like to live in the aftermath of the war. The book is funny and poignant and shows how people separated by great distance and circumstances can nonetheless, touch each others lives and create the most beautiful of relationships. Full Review in Blogpost. Link in profile. "She saw for the first time that the history of Saunby was a sad one. It had been diverted from its purpose; it had been narrowed from a great purpose to a little one. It had been built for the service of God and the people; all people, but especially the poor." ————————————— 'The Priory’ is the story of how the future of Saunby Priory might be diverted to recover the livelihoods, dignity and self-worth of a large community of people, united in their purpose. It is a beautiful novel, worthy of the highest praise. Full book review in the link in the bio. I reviewed Inspector French's Greatest Case by Freeman Wills Crofts as part of @simondavidthomas 's #the1924club . In the second half of October everyone is asked to review books published in 1924. The link to the review is in my profile. ——————————————– In 'Inspector French's Greatest Case' we are introduced to a case of murder that occurs at the offices of Duke and Peabody, a diamond merchant located at Hatton Garden in London. On a cold night in the middle of November, the body of an employee, by the name of Mr. Charles Gething is discovered prostrate on the floor in the inner office of Mr. Duke. Mr. Duke's large Milner safe has been ransacked with the loss of thirty-three thousand pounds worth of diamonds and a thousand pounds in bank notes. Mr. Gething has undoubtedly been murdered as evidenced from the ugly wound made to the back of the skull by a blunt instrument. The theft of the diamonds and money previously secured in the safe are the motive behind the murder. To investigate the case, Inspector French of the Criminal Investigation Department of New Scotland Yard is called in. Martha in Paris is the funny, quirky story of the relationship between an artistic English girl and a lonely Englishman in Paris. ———————————- Martha in Paris recounts Martha's student years in Paris. Whilst in Paris, Martha meets an Englishman by the name of Eric Taylor. Eric invites her to dinner to meet his mother on Friday night and Martha accepts when she hears of the Taylors' recent bathroom renovations and their abundance of hot water. The weekly Friday visits and baths become a ritual and Martha and Eric find themselves in a situation which is too close for Martha's comfort. How Martha deals with the resultant circumstances of her relationship with Eric forms the theme of the remainder of this novel. Link to the full review in my profile. Happy Tuesday friends! 'Cheerful Weather for the Wedding' by Julia Strachey is the story of a day in the life of the Thatcham family, in their English country house. It is, however, no ordinary day in their lives. The eldest daughter of the family, Dolly, is to be married that morning. The house is inundated with quirky guests who say and do the most unusual things. A ex-beau, Joseph, is plucking up the courage to speak to Dolly. The bride is upstairs, liberally drinking from a tall bottle of Jamaica Rum while adjusting her toilette. As the time for leaving the house for the wedding ceremony approaches, we wonder what else might occur on this unusual wedding day. Will Dolly make it to her wedding in one piece? Will Joseph be able to unburden his heart to Dolly? Full review in the link in profile. This was one of my favourite books from this year. Highly recommend it! "Oh, Charles, must we go now?" Ma said. The weather was so cold and the snug house was so comfortable. "If we are going this year, we must go now," said Pa. "We can't get across the Mississippi after the ice breaks." ———————————- Reading Laura Ingalls Wilder's 'Little House on the Prairie'. I am simply amazed at the spirit of intrepid exploration as a man, his wife and family make it across Wisconsin, Minnesota, Iowa, Missouri and Kansas in nothing but a horse drawn cart filled with their belongings. They cross frozen lakes, almost drown in a water-logged creek, wash their clothes in the river and lay them out on the sweet smelling prairie grass to dry. Laura's Pa builds their log cabin in Kansas with his own hands. I cannot but admire the self-reliance and adventurous nature of this family. Have you read the book? Watching Charlotte, Lucy was sad. She had loved Geoffrey with all her heart. Too much. "You shouldn't love as much as that," thought Lucy. It's a bit abject. You should keep something of yourself." ——————————————– 'They Were Sisters' by Dorothy Whipple is the story of three sisters who marry three very different men. Lucy, the eldest is happily married to William. Charlotte, is besotted with Geoffrey who is a cruel, dominating husband and Vera, the beautiful youngest sister marries caring, wealthy Brian, whom she marries for security. The story deals with the fact that choosing a life partner can have far-reaching consequences, and that this decision can dictate to a large extent a person’s individual happiness and the happiness of their families. Whipple delivers a masterful plot and powerful cast of characters. She creates extraordinary drama and turbulence within the boundaries of everyday domestic occurrences. Full review on the blog. Link in profile. Happy Friday friends! "Good heavens!" said Grace;and dropping down upon a rock, she stared incredulously about her. The white rocks, the flowers, their blade like silvered leaves, all glowed in the strong sunshine with an effect that was quite literally dazzling. Nicholas sat down beside her…Grace was aware of the strong current of feeling set flowing within him at the sight. And this time, with a curious precision and certainty, she was aware of something more-how her own presence increased and heightened his delight, his response. Unspoken and unexpressed, this awareness grew and deepened, and with it her own pleasure in the sight. And for a short space of time, forgetting everything else, she gave herself up to this wordless sympathy, this peculiar accord between them, which made of the shared moment something more delicate and wonderful than it could have been for either alone. ———————————- 'Illyrian Spring' by Ann Bridge is a part travelogue, part love story set in 1930's Croatia, along the picturesque Dalmatian Coast. World-renowned artist, thirty-eight year old Lady Kilmichael, the wife of an eminent economist and mother to three grown-up children, leaves her family and all that she holds dear and escapes to Venice and Croatia's remote Dalmatian Coast. She fears for her marriage, suspecting her husband of embarking on a possible affair and also is saddened by the strained relationship she has with her daughter. In Venice she meets a disillusioned young man, Nicholas, a man on the verge of being coerced into an architectural career by his parents but desperately yearning to paint. By chance, Grace and Nicholas find themselves on the same cruise to the Dalmatian Coast. Grace is persuaded to guide and train Nicholas in his artistic endeavours and together they spend several idyllic weeks together painting and enjoying each other's company. However, when young Nicholas falls in love with Grace, she finds she must choose between following her better judgement or her heart. Full review of this beautiful travelogue on the blog. Link in profile. Happy Friday friends! Lastly, here is a snapshot of my nine most popular Instagram pictures of 2015. Had to join in with all the fun. My #2015bestnine features bags (surprise? ), books (more surprise? ), painting and great stories. Thank you friends for the companionship over 2015. You people make my day, every day. ‘Illyrian Spring’ is the first in the series of novels I am reviewing as part of the series -‘Books that take me to faraway places’. Excerpt: This book is a part travelogue, part love story set in 1930’s Croatia, along the picturesque Dalmatian Coast. World-renowned artist, thirty-eight year old Lady Kilmichael, the wife of an eminent economist and mother to three grown-up children, leaves her family and all that she holds dear and escapes to Venice and Croatia’s remote Dalmatian Coast. She fears for her marriage, suspecting her husband of embarking on a possible affair and also is saddened by the strained relationship she has with her daughter. In Venice she meets a disillusioned young man, Nicholas, a man on the verge of being coerced into an architectural career by his parents but desperately yearning to paint. By chance, Grace and Nicholas find themselves on the same cruise to the Dalmatian Coast. Grace is persuaded to guide and train Nicholas in his artistic endeavours and together they spend several idyllic weeks together painting and enjoying each other’s company. However, when young Nicholas falls in love with Grace, she finds she must choose between following her better judgement or her heart. At the start of the novel, beautiful thirty-eight year old Grace Kilmichael has taken the quite drastic step of leaving her family and has embarked on a solo trip to Venice and thereon to the remote Dalmatian Coast. Unsure of her intellectual husband’s regard for her and suspecting him of being attached to another woman, she decides that rather than confront him, it is wiser to leave him for a while to make his own decisions. Lady Kilmichael, though she did not realize it, was beginning (rather late in the day) to feel the pressure of one of the more peculiar aspects of English life-the moral and intellectual subordination of women to their husbands. Lady Grace is mother to twin boys who are away at college and a younger débutante daughter and part of her unhappiness is linked to the fact that she has become estranged from her daughter and doesn’t know how to communicate with her. Grace is a painter of quite considerable international repute although members of her family do not give her art as much respect as is due. Armed with a painting contract for several American newspapers, Grace takes her sketchbook, art supplies and her grievous heart and arrives in Venice. One day while visiting the off shore island of Torcello, Grace meets a personable young man named Nicholas who is a little older than her sons. They begin to talk to one another and start studying a set of ancient stone stone slabs that have a unique scribe that Grace feels will be of interest to her archaeology studying son. Nicholas misses his boat from Torcello and Grace offers to share her boat ride back to Venice. On the night time boat ride, Grace and Nicholas talk companiably about music and literature among other things. For the remainder of the time spent in Venice, their paths do not cross. However, as luck would have it, they find themselves on the same boat that is cruising down the Dalmatian Coast. As Grace starts to learn more about Nicholas’s background and character, she discovers that he is being coerced, by his family, into a career as an architect, although he yearns to paint. Grace, without revealing the famous name that she is known by in art circles, promises that she will take a look at Nicholas’s paintings and guide him, wherever possible. Grace receives a letter from her husband Walter, informing her of her foolishness and telling her to return home to her family. The highhanded tone of the letter and the lack of tenderness, convinces Grace that she must continue on her solo endeavour and somehow ‘find herself’ again after many years of moulding herself to suit the needs of her family. Grace and Nicholas disembark in the ancient town of Spalato (Split), and seek accommodation in a boarding house. What follows is an idyllic period where Grace and Nicholas, paint the beautiful scenes and countryside of the Dalmatian Coast. They fall into a pleasant companionable routine of painting, eating leisurely lunches together and exploring the countryside. Whether working or sight-seeing, of course she and Nicholas talked. It is surprising the amount of talk that two people will get through during a week of solid tete-a-tete. Now in modern life it is an extreme rarity, outside marriage, to get a week of uninterrupted companionship with any human being. Nicholas shows incredible skill in his painting and Grace is happy to find herself useful to someone and appreciated after a long time. During her long discourses with Nicholas, she questions him about the peculiar characteristics of the youth of his age so that she might gain insight into where she is going wrong in her relationship with her daughter. A few weeks into her sojourn with Nicholas, Grace is appalled to discover that Nicholas, a man young enough to be her son, has fallen in love with her. Conversations with a common friend, a Philosophy Professor, who lives locally confirms this fact, as he has upon independent observation, arrived at the same conclusion. The remainder of the novel deals with how Grace deals with this circumstance, how she reciprocates Nicholas’s love and the repercussions of these romantic feelings. Illyrian Spring is an in depth look at the romantic relationship between an older woman and a younger man. At the start of the novel, when the reader has an inkling of what may follow, it seems absurd that a man and woman, severely separated in years, might have a romantic relationship. We witness, however, a burgeoning of Nicholas’s soul through his discovery of painting and he remains highly indebted to Grace and in many ways, highly dependent on her. Their compatibility is undeniable. Grace also finds herself, gaining in confidence, feeling happier than she has felt in many years, in her beautiful surroundings and a newly developed appreciation of her own self. The idea of ‘ amour propre’ or self-love as a means of appreciating oneself, independent of how others see one is a recurring theme in the book. We are privy to Grace’s emotions and feelings at every step of her relationship with Nicholas. Therefore, towards the end of the novel it does not seem so absurd that Grace should find herself capable of loving Nicholas. The conclusion of the novel is managed quite be beautifully. We walk away feeling, that in Ann Bridge, we have found a writer, not only of considerable skill but that of infinite sense and sensibility. Ann Bridge was the wife of a diplomat and travelled widely with her husband. Her several books, therefore, have a strong sense of place. Illyria, was historically considered from Greek antiquity, to constitute the western part of the Balkan peninsula. It is also known as Dalmatia or the Dalmatian coast and forms one of the four historically separated regions of Croatia, the others being Slavonia, Istria and Croatia proper. The coast extends from the island of Rab in the north to the Bay of Kotor in the south. The largest city of the region is Split, followed by Zadar, Dubrovnik and Sibenik. Places mentioned in the book include the Italian city of Venice and then Spalato or Split where Lady Grace and Nicholas visit the ancient palace of the Emperor Diocletian, the little medieval town of Traü, the hill fortress of Clissa with its abundance of flowers and the hilly town of Ragusa- where the majority of the novel is set. Modes of travel mentioned in the book include the Channel steamer, the Simplon Orient Express and the Adriatica Steamer boats taking the traveller down the Dalmatian coast. Illyrian Spring is a beautifully written book that will appeal not only for its romantic story line but also its detailed travelogue. There are quite lovely descriptions of nature and the flora and fauna native to the Dalmatian Coast. After reading it one feels compelled to add Croatia to the never-ending travel bucket list. “Good heavens!” said Grace;and dropping down upon a rock, she stared incredulously about her. The white rocks, the flowers, their blade like silvered leaves, all glowed in the strong sunshine with an effect that was quite literally dazzling. Nicholas sat down beside her…Grace was aware of the strong current of feeling set flowing within him at the sight. And this time, with a curious precision and certainty, she was aware of something more-how her own presence increased and heightened his delight, his response. Unspoken and unexpressed, this awareness grew and deepened, and with it her own pleasure in the sight. And for a short space of time, forgetting everything else, she gave herself up to this wordless sympathy, this peculiar accord between them, which made of the shared moment something more delicate and wonderful than it could have been for either alone.